If you are interested in making a handmade wardrobe of your own, be sure to read to the bottom where there are details of how you can participate. - This was the first sewing project where I had 'proper' tools, and it made an enormous difference to the time spent, and the ease of working. 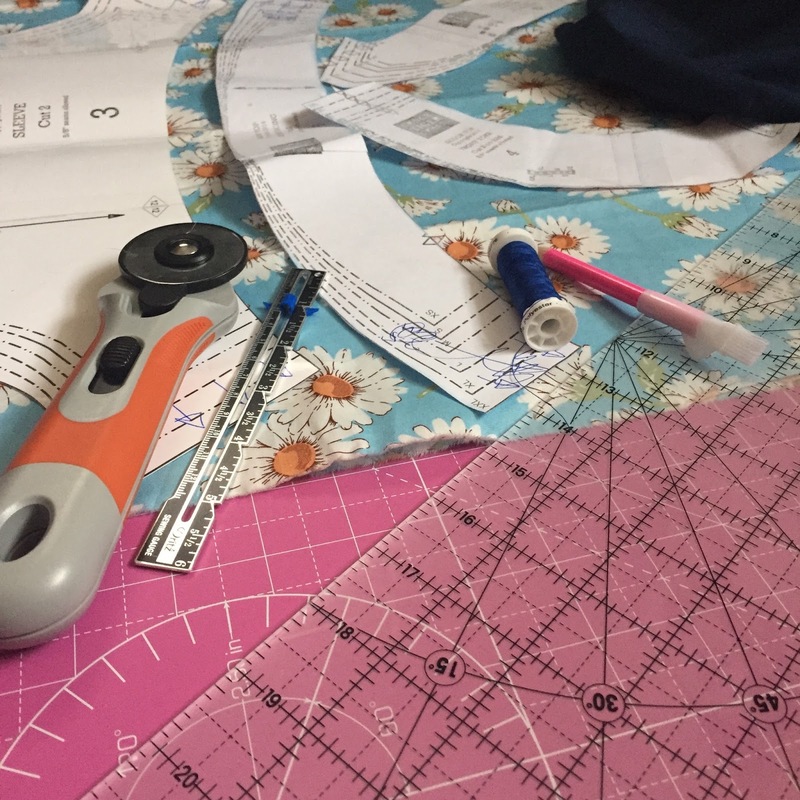 Definitely something to consider if you're just getting started with sewing (and probably worth another post). I took this photo after wearing the tunic at my desk for a few hours, and didn't iron it when I took it off, so you can see how it actually looks when worn. I think this is important with a longer length garment as it has to be comfortable to sit in, but still fall back in place when you stand up. This fabric does the job well and I love the slightly 'lived-in' look which has a similar effect to a lightweight linen. Also, it's an opaque fabric but still lightweight and cool enough for summer. - I did a pretty bad job of the gathers on this one. In fact this project didn't come together as easily as the other two, and I'm not sure why. Perhaps I'm becoming "consciously incompetent" and have higher expectations, or it may be complacency. - My stitching has definitely improved but it's still not great. 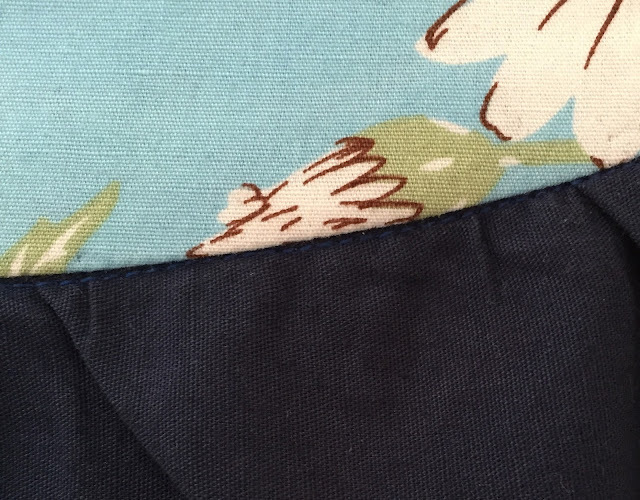 I find 'stitching in the ditch' on the curve (pictured above) to be the trickiest part as you're also sewing through the gathers. It looks fine if it's not scrutinised too closely, so I'm hoping no one will notice. The hemming looks quite neat, so the practice is paying off. 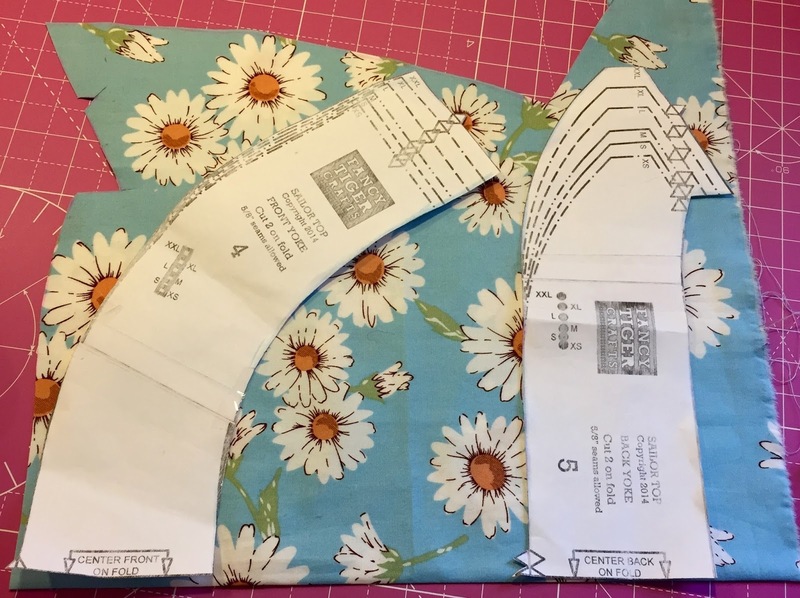 - For my next sewn garment I'm going to try something different, although I'm not done with this pattern yet. I have had such lovely feedback from so many people since starting this project. The people and things that inspired me have also been inspiring many others. Helen from the Curious Handmade blog and podcast has launched a handmade wardrobe challenge (listen here, the challenge kicks off at about 11 mins) and a lovely thread on Ravelry where is a lot of inspiration and people are discussing the reasons for making their own garments, and sharing their FOs. I'll be popping in there regularly during the challenge and it would be lovely to see you there. Right now I have some knitting to get on with so I can finish garment number seven. 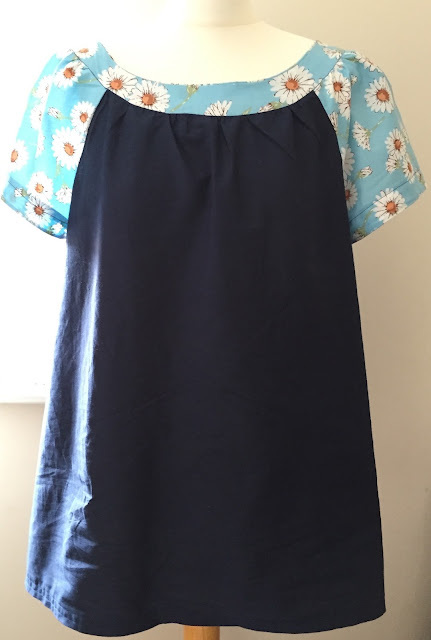 Online fabric store myfabrics.co.uk are offering a discount to any CftC readers placing any order before 13th September - use the code CWTCH0815 to get £10 off when you spend £35 or more (can not be combined with other vouchers). I've been really pleased with their service and delivery is within a few days so they get a thumbs up from me.